The jobs of thousands of Bristol workers could be lost if the UK leaves the EU with no deal, bosses and business leaders warned this week. 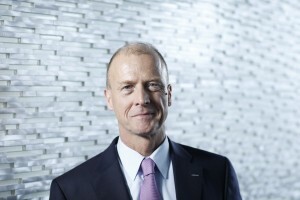 In a video message released yesterday by French-German group Airbus – one of the city’s largest employers – its chief executive Tom Enders branded the UK government’s handling of Brexit as a “disgrace”. Airbus, also one of the UK’s largest manufacturers, employs 4,000 people at its Filton base, where it designs wings for all Airbus aircraft as well as landing gear and fuel systems. Earlier this week the CBI warned that leaving the EU without a deal would be ‘devastating’ for the South West’s economy, hitting output by a staggering £13bn a year. And Business West, the region’s largest business membership group and the organisation behind Bristol Chamber of Commerce, repeated a warning it has often made that a no deal Brexit would be harm the city’s economy. Its managing director Phil Smith, who has become increasingly exasperated over recent weeks at the prospect of a no deal Brexit, reiterated Business West’s fierce opposition to such an outcome again this week in the light of Airbus’s latest comments, saying politicians were now “in real danger of sleepwalking into the most damaging economic act upon our region’s economy in living memory”. Airbus also employs around 6,000 in North Wales, where it assembles the wing sections and landing gear for civil airliners it designs at Filton. A further 110,000 UK supply chain jobs depend on its operations, which have an annual turnover of £6bn. Mr Enders, pictured, said: “Of course it’s not possible to pick up and move our large UK factories to other parts of the world immediately. Airbus UK senior vice-president Katherine Bennett later told the BBC that a no deal Brexit could lead to chaos at borders which would hit its UK plants by delaying the import of parts. She said people who were talking about a ‘managed no deal’ didn’t realise the damage it would do to Airbus’s UK operations. The wings and landing gear now being designed at Filton will be used on aircraft in 30 years’ time, she added, but businesses needed to plan long term. “The aerospace sector is one of the jewels in the crown in our region. It employs tens of thousands of men and women in high-value and skilled work, it creates a supply chain of talented firms of all sizes and supports the livelihoods of thousands of families across Bristol, Gloucestershire, Somerset and the West. “Our aerospace sector is also a critical part of our region’s wider economic health – and underpins not just aerospace, but also a much wider set of higher value engineering, manufacturing, logistics, design and research activity. He said Airbus chief executive Tom Enders’ warning should be a wake-up call for politicians from the region. “When a chief executive says that their sector ‘stands at a precipice’ and that Brexit ‘is threatening to destroy a century of development based on education, research and human capital’, we should take notice. “We should also be aware that this language represents not just the level of threat facing the industry but also the level of frustration many businesses now feel with the state of Brexit plans and the current paralysis in Parliament. “A sector of remarkable strength, depth and value to our region is potentially going to be seriously weakened. Airbus is stating very clearly that the position of the West of England as a centre for global investment and expertise is being threatened. “It is now reported that ‘at least’ seven countries have approached Airbus to request they open talks to replace the UK in hosting future wing production. 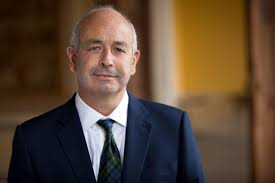 A growing number of local aerospace supply chain and wider manufacturing companies had started to implement contingency plans to cope with the risks from Brexit, he said. This has included shifting logistics and warehousing to the EU, revising recruitment and investment plans, setting up EU legal identities to cope with regulatory risks, looking at stockpiling or holding off on further investment decisions and moving part of the company to the EU. This was on top of Airbus’s stated plan to freeze expansion of work with any new UK suppliers, he said. The CBI warning is based on the results of a new study it had commissioned on the economic impact of a ‘no deal’ scenario. The findings, based on fresh analysis of the government’s own figures, showed a “devastating” long-term economic impact across the UK, with the South West likely to be among the regions most exposed to the fallout with an estimated annual loss of output worth £13bn by 2034.